On my campus, we commemorated Cesar Chavez Day early, yesterday, rather than March 31 (his birthday), by closing. The state established the holiday in 2000, and six other states have followed suit. In California, the legislature calls upon public schools to develop appropriate curricula to teach about the farm labor movement in the United States, and particularly Chavez’s role in it. Political figures have many reasons for creating holidays, including remembering the past; identifying heroic models for the future; recognizing and cultivating a political constituency; and providing an occasion to appreciate a set of values. Regardless of the original meaning, the holidays take on new meanings over time. Columbus Day, for example, is celebrated as an occasion for pride in Italian Americans (e.g. ), and commemorated and mourned as a symbol of genocide and empire (e.g.). 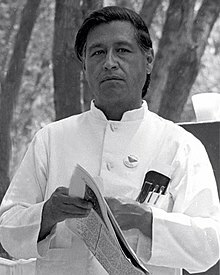 Cesar Chavez’s life and work is well worth remembering and considering, particularly now. His career as a crusader was far longer than that of Martin Luther King discussed (here and here) and he was far more of an organizer than Fred Korematsu (discussed here). Chavez’s Medal of Freedom was awarded shortly after his death in 1993, by President Clinton, but many of his accomplishments were apparent well before then. As a young man, Chavez was an agricultural worker; by his mid-twenties, he became a civil rights organizer, working for the Community Service Organization in California. 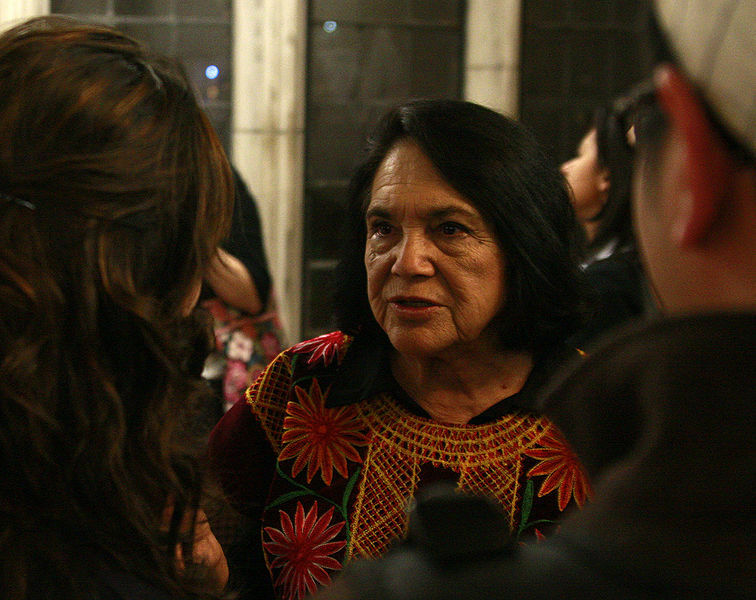 With Dolores Huerta, in 1962 Chavez founded the National Farm Workers Association, which later became the United Farm Workers. Focusing on poor, mostly Mexican-American workers, Chavez’s vision for activism was right at the cornerstone of racial and economic justice. Establishing an organization, however, is a long way from winning recognition and bargaining rights as a union. Chavez was a tactician, a public figure, a charismatic, and something of a mystic. Modeling his efforts after Gandhi’s successful campaigns, Chavez was an emphatic practitioner of active nonviolence. He employed boycotts, strikes, long fasts, demonstrations, long marches, and religious rhetoric in the service of his cause. He also registered voters, lobbied, and worked in political campaigns. He was a tireless and very effective organizer for most of his life. But holidays are best celebrated with an eye to the future, rather than the past. On Cesar Chavez Day this year, we can think about the large and growing Latino community in the United States. The 2010 Census reports that Latinos now comprise roughly 1/6 of the American population, and more than 1/3 of the population in California. This is the youngest and fastest-growing population in America today, and they are severely underrepresented in the top levels of politics, education, and the economy. The civil rights map is at least as complicated as at any time in American history, but not less important or urgent. (The struggle about the DREAM Act is reminiscent of the debate about Voting Rights 45 years ago.) The future of American Latinos is very much the future of America. And Chavez saw the civil rights struggle as a labor campaign. When Chavez and Huerta started their campaign, nearly one third of Americans were represented by unions. The percentage now is now just about 10 percent, and less in the private sector. And public sector workers, even if represented by unions aren’t doing so well. The ongoing conflict in Wisconsin is all about weakening unions that are already making very large concessions on wages and pensions. The campaign in Wisconsin is part of a larger national effort, which is playing out in Indiana, Ohio, Florida, and elsewhere. Even in states where anti-union forces are weaker, state employees face lay-offs, wage cuts, and increased health and pension costs. Importantly, we need to remember that you can’t attack teachers, nurses, police officers, and firefighters without hurting the people they serve: us. Or should I say, US? Cesar Chavez’s birthday is an opportune time for thinking about Latinos, civil rights, and American labor, and not just the start of Spring. This entry was posted in Uncategorized and tagged Cesar Chavez, commemoration, holidays, Korematsu, labor, Martin Luther King, nonviolence, United Farm Workers. Bookmark the permalink.